7 1/2″ X 33″ – Each Panel. 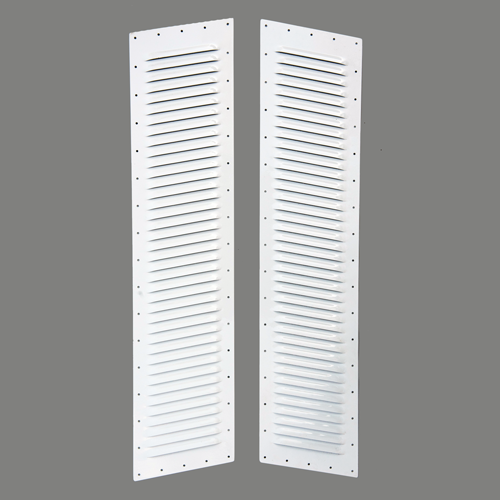 Two Panels Per Set, 39 Louvers Per Panel. Fit outboard, where Size Large might not fit in the center of the hood. Especially good for V-8’s and for 6-cyl. Cut at a slight (10 degree) angle (perfect slant for 99% of all hoods). Ideal where outboard “flats” of the hood are at least 7 1/2″ wide. Mount above rising heat from headers and engine. Many applications! 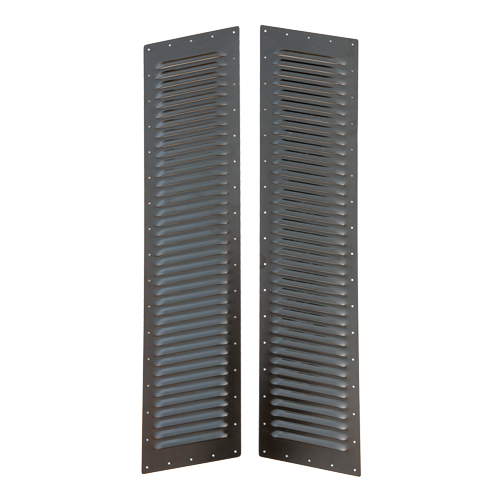 In use on Wranglers, Corvettes, Land Rovers, Cherokees, late-model Camaros and more, including as Side Louvers on ’33 Chevy’s. 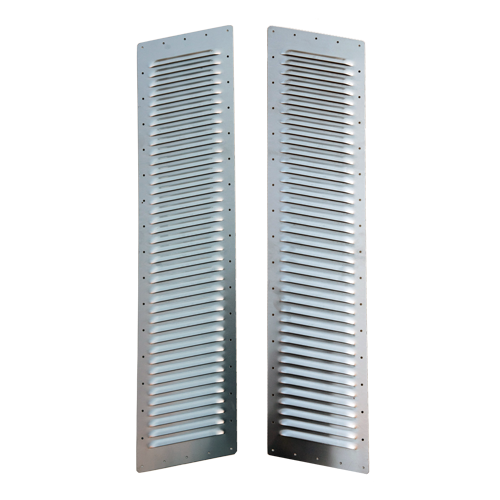 These are designed for a perfect fit as Side Louvers on the ’33 replica “Street Beast”.